We are 5 University of Essex students and Alumni who volunteer for a Mental health technology startup (Half Full Not Empty CIC) founded by one of us (Juanita - shown in the picture above!) Our names are; Yemi, Juanita, Eyram, Michelle and Ashe. Over the last 3 year we have hosted workshops, events and organised focused groups to discuss all things mental health, in order to de-stigmatize the word and encourage others to be proactive about their mental health. Juanita (our founder) has now built an app targeted at University students to help improve the student experience. The app focuses on research based solutions to three main struggles students face whilst at the University. isolation, feeling unprepared and a lack of resources of where they can help from. The result of this is to improve student engagement, retention and well-being. We have first hand experience throughout out uni years of the underlying causes of poor mental health and believe technology can play a big part, in helping other students look after themselves properly whilst at university. As part of our App launch we are touring a few universities who have significant problems with their students' mental health. We intend to engage with new students, talk to them about their university plans and ensure they kick off their university days with the right support and have constant support throughout their time at the University. Juanita used the money raised through the initial click campaign, won a competition by Huawei and also used her own money, earned through working, to create an app that we believe is needed by every university student! So far £21000 has been spent on this venture, an extra £4080 of Juanita's personal funding will be spent on compliance and GDPR. After several trails and error, website, logos, server costs and fee for the makers of the app and designers; we need help with the promotion of the app! The donation will be 100% spent on the University tour and marketing of our Mental well-being app, alongside contributing to the cost of train tickets and accommodation, as we would like to be able to attend different universities to offer students the chance to benefit from this much needed app. the money will also be going towards marketing activities and equipment so we can best advertise the app. Any additional funds raised will put towards long term marketing goals and the development of the app. We have some rewards for whoever helps us to achieve our goal. Check them out at the right side of the page! You don't need to give money to help us succeed! Please share this project with anyone you think would support us – on Twitter, Facebook, LinkedIn, by email, telephone or on your blog. Word of mouth is such a powerful tool and just telling a couple of people could really help us out, if you could please share it with everyone you know! Although you don't have to donate money to help us, we would love and appreciate it if you did. So please also sponsor us so that we can make this happen. Thank you for donating! you will get a social media on your preferred channel. Thank you for donating! you will get a social media shout and a thank you email from our Founder. Lucky you! Thank you for donating! You will get a free entry for you (or someone can claim your free ticket on your behalf) to one of our upcoming events in November & December 2018. Thank you for donating! You will receive Half Full Not Empty badge, free entry to one of our upcoming events and a thank you from our Founder. Thank you for donating! 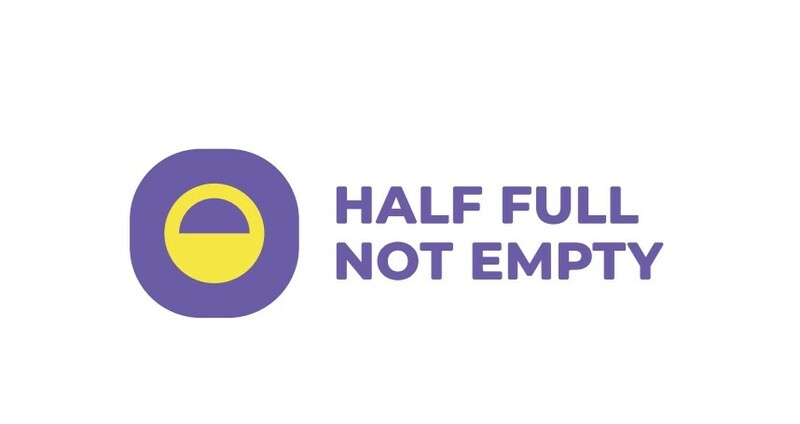 You will get a social media shout , Half Full Not Empty badges, 2 free tickets to an event of your choice and the opportunity for Our Founder to host a workshop at your event or venue and discuss mental health issues. Thank you so much for your great contribution! You are now an official sponsor of our project. Your name will be added on our website and printed on all our promo materials.